Shout Out: Throughout the day yell, “FACT CHECK!”. The students will repeat with the fact found on their watch that day. Teach It: Make it a daily routine during morning meeting and/or end of the day meeting to have students turn to a partner and teach the fact of the day. 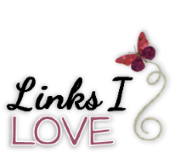 Encourage them to use manipulatives or visuals. Math Center: Lay out all of the materials needed for this center (glue sticks, scissors, light colored crays/markers) and have students put them together. Again, explain to students that they should help one another when gluing them on. 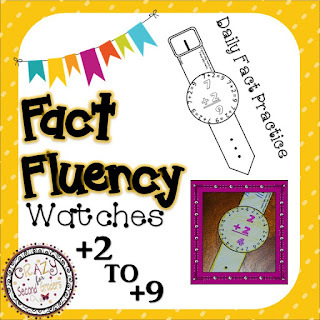 Fact Fluency Circling: After each timed fact fluency assessment have students circle the fact of the day (which ever watch they are wearing that day) with a highlighter. Exit Slips: I always have blank exit slips pre-made in a basket by the door. I included the one I use. Before they exit for lunch, specials, or the end of the day have them write a story problem for the fact of the day (which ever watch they are wearing that day). Yes, I will still have timed assessments (I know....yuck!). I will also be watching through formative assessments like Exit Slips to see who's got it and who still needs extra help.